How Do I Go About Filing a Personal Injury Claim? An accident can befall you without warning. No one is exempt for this possibility. So what should you do if you are injured in an accident? 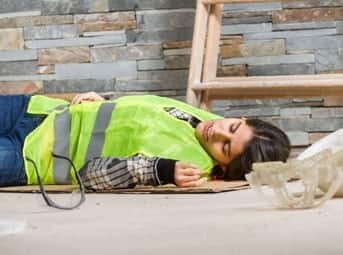 Personal injury claims can arise from many different types of injuries, such as vehicle accidents and slips and falls -- even injuries due to defective products. Here are some steps you can take after sustaining a personal injury that will prepare you for filing a claim or a lawsuit. If your injury is serious or moderately serious, you should seek medical attention immediately. Don’t file any claims until your injury has been seen by a qualified medical professional. If you fail to seek medical attention after an accident this may reduce the amount of damages you can recover. Although it’s necessary to communicate with other parties after an accident, make sure you use discretion when speaking with other parties. You have no obligation to assign fault for the injury or to volunteer any additional information. Don’t make any statement that might make things more complicated, and avoid making any inflammatory or confrontational statements. A police report can be used as important evidence in court if a lawsuit arises, as it will contain official records of important facts surrounding the incident, including the names and contact information of the other parties that were involved. It’s important to keep all hospital bills, medical office visit bills, property repair bills and any insurance records related to the accident. Also, record any lost wages if your injury has caused you to miss any work. It’s a good idea to create a written account of your injury while all events and facts are still fresh in your mind. When insurance companies get involved in a personal injury claim it can sometimes make the legal process more complicated. In most cases working with an insurance company is necessary in completing a personal injury claim or lawsuit. But remember, their interests are not necessarily the same as yours. It may be a good idea to consult your lawyer for advice when dealing with any third parties. If you sign a form or document related to the personal injury, make sure you completely understand the terms and know what it is you are agreeing to. Don’t sign anything if you are unsure of how it will affect you in the long run. This may include forms that are presented to you long after the actual event. Watch for documents or contracts that ask you to release the other party from liability or that require you to forfeit your right to a lawsuit. Always consult your attorney before signing anything. Trying to settle with the other party or with their insurance company yourself can be difficult and complicated. If you are inexperienced in legal matters it’s best enlist the help of a legal expert, especially if the other party hires a lawyer. Working with your own lawyer is the best way for you to you avoid costly mistakes that can have adverse effects on your claim. For most personal injury claims you only have a limited amount of time after the accident in which to file a claim with the courts. This is known as the “statute of limitations”, which can vary depending on the state you’re in and the type of accident in which you were involved. Make sure you know what your time window is and file in a timely manner. Once the statute of limitations has expired, you may not be able to file your claim. It might be a good idea to do some research and familiarize yourself with the basics of personal injury lawsuits in your locale. Rules may vary from place to place, and personal injury claims often take a considerable amount of time to get fully resolved. No one expects you to be an expert, but reading up online and speaking with a lawyer to get some basic guidelines can really help to clarify the process for you. Of course, hiring a personal injury lawyer for a personal injury case is a no-brainer. But there are many different kinds of personal injury lawyers, so it’s a good idea to find the one that specializes in cases similar to yours. The above personal injury tips are brought to you by Los Angeles personal injury lawyer, James Sadigh. James Sadigh has a long and proven record of winning cases for victims of car accidents, dog bites, slips and falls, wrongful termination and other mishaps that can be proven to be the result of someone else’s negligence or malfeasance.